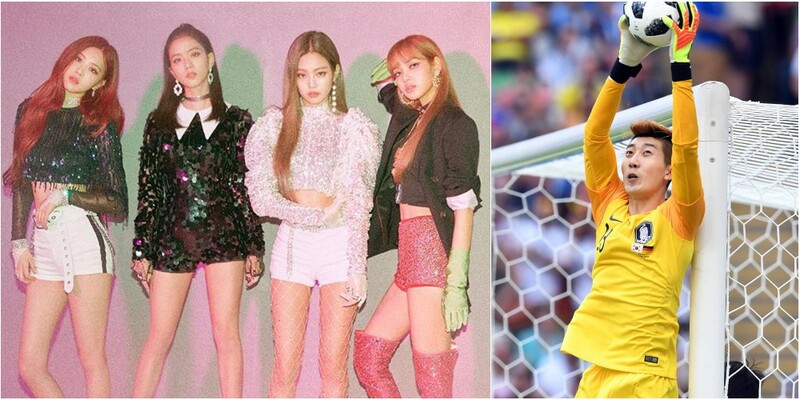 Black Pink reacted to South Korea's win over Germany at the '2018 Russia World Cup'. Jisoo�said, "I wasn't able to watch it. I didn't get sleep for the past few days so I was passed out. But we always tend to lose when I watch the game." DJ Moon Hee Jun jokingly replied, "Thank you so much (for sleeping during Korea's game)." When asked how they felt at the news of South Korea's win, the members said,"We got goosebumps." They then mentioned South Korean goalkeeper Cho Hyun Woo�and said, "Every time he blocked the ball, we were like 'Oh my gosh that's unbelievable'. We felt assured. He was dependable like a father."